Q: What is the best planning system? Which hard copy system do you recommend and why? What planner do you think is best? A: This depends on your goals. In my many years of planning, including creating The POWER Planning Process, I’ve discovered that focusing on how we want to FEEL is potent. In past years I’ve used the Franklin/Covey planning system. This is a solid system that helped me map out many life milestones including buying my first home in my early 20’s. This systems helps you map out personal and professional goals and included exercises to help you visualize the future. I’ve tried the Passion Planner. This planner allows you to track and map multiple projects and I found focusing on TOO many projects at once was a bit of a distraction. Most recently (for the past 3 years) I’ve tapped into Danielle LaPorte’s Desire Map Planner. I use the weekly version and enjoy the clear focus on the top 3 things to get done each week. It simplifies things while encouraging us to focus on how we want to FEEL. Feelings tap into our deepest desires (or the things we want to change/release) and I’ve found that this approach has brought me closer to home… closer to who I really want to be… closer to what matters most. As you consider how you’d like to shape your year, here are some tools to help. If you’re not using The Desire Map Planner, grab your copy here. If you haven’t read The Desire Map book, I highly recommend you order your copy by clicking here (and once you’ve read it, I suggest investing in the Audible audio book version, too). Another way to amplify how you want to feel is Mahalo – A Daily Gratitude Journal. I’d love to hear more about what you want to create. How do YOU want to FEEL? Want more info about planning — specifically Content Strategy Plans? Visit this post for more resources. Feel free to post your favorite planning system (and why) as comment or reply. 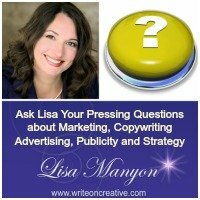 This entry was posted in Ask Lisa	on Monday	October 28, 2018 at 1:58 pm. You can follow any responses to this entry through the RSS2.0 feed. You can also leave a response.